Reef Oil's Professional Strength formulation helps promote the deepest, richest tan possible when in the sun, while the natural oils add moisturising life to your skin. 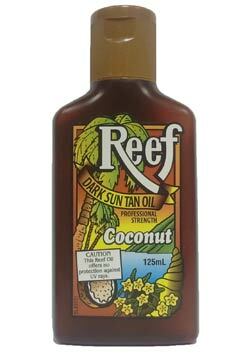 Caution: This Reef Oil offers no protection against UV rays. Used for the first time in oz eight years ago and never used anything else since. Tan all year round.